Nicholas E. Calio is president and chief executive officer of Airlines for America (A4A), the trade association for the country’s leading airlines, whose members and affiliates transport more than 90 percent of all U.S. airline passenger and cargo traffic. Mr. Calio leads the organization, which advocates for America’s airlines as models of safety, customer service and environmental responsibility, and as the indispensable network that drives nearly $1.5 trillion in U.S. economic activity and more than 11 million U.S. jobs. 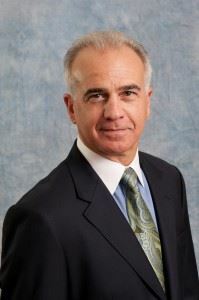 Prior to joining A4A in January 2011, Mr. Calio was Citigroup’s Executive Vice President for Global Government Affairs and a member of its Senior Leadership Committee. He was responsible for the company’s government affairs globally, including U.S. federal and state government relations, and international government relations. Before joining Citigroup, Mr. Calio served President George W. Bush as Assistant to the President for Legislative Affairs from January 2001 to January 2003. As the president’s principal liaison to Congress, Mr. Calio worked closely with the leadership and members of the U.S. Senate and House of Representatives, and had the primary responsibility for formulating and implementing White House strategy on all legislative issues. He held the same position during the administration of President George H.W. Bush. Prior to joining the Bush administration, Mr. Calio was a partner at O’Brien*Calio, a law and lobbying firm he co-founded in 1993. A 1998 Fortune Magazine survey of Members of Congress, congressional staff, administration staff and Washington lobbyists rated the firm as one of “the ten most powerful” in Washington. Mr. Calio started the firm after leaving the first Bush administration. Mr. Calio is a graduate of Ohio Wesleyan University; and Case Western Reserve University School of Law. He serves on the Board of Trustees of Ohio Wesleyan University; the Board of Directors of RTCA, Inc.; the Wolf Trap Foundation; the U.S. Capitol Historical Society: the First Tee of Washington, D.C.; and the Centerra Group Advisory Board. Reception begins at 12:00 PM. All guests are to be seated by 12:30 PM. Space is limited. Advance registrations are strongly encouraged.